"You will learn how to cook watching the show," said Celebrity Chef JJ Johnson to me, a non-cooker, about his new reality show ‘Just Eats with Chef JJ" airing Saturdays at 12 noon on TV One's new lifestyle network CLEO TV (Comcast Xfinity). "My Chicken Parmesan was unexpected. I cooked it as a kid. Each show (dish) is different. I even had to adjust to someone's allergies." 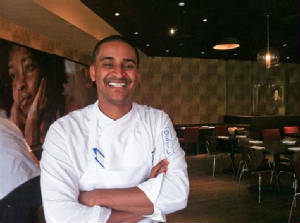 Chef JJ, a graduate of Culinary Institute of America, clients have included Jennifer Hudson, Quest Love, Maria Carey, Steph and Ayesha Curry. He is a partner at The Henry by JJ located in the LIFE Hotel (19 West 31st Street) in New York, NY. "I get up at 7:30am...take a call. Roll out the house 10:30am. Take 1 or 2 meetings then I'm in the kitchen at Henry's. I end the night in the kitchen recapping with the team. Then home to spend time with my wife," he said about his daily routine. 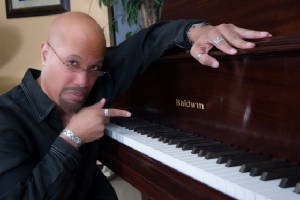 Jazz keyboardist Bob Baldwin honors The Beatles with his 25th album titled "Abby Road and The Beatles" (City Sketches/Red River) featuring vocal assistance from CeCe Peniston and Lori Williams, Euge Groove on sax and Ragan Whiteside on flute. The album offers 10 Beatles originals (one, recorded twice, with a remix version) and a Bob Baldwin original, totaling 12 selections. "I grew up with all kinds of music. My dad had Jazz...sister R&B...Soul. I liked what The Beatles did with their compositions and the songs were happy. They played guitars, bass and drums with no keyboard," Bob said. So on "Abby Road and The Beatles" Bob selected 10 originals and put his keyboard and Jazz twist to the world-wide hits. He includes his own original "Abbey Road" featuring vocalist Lori Williams as the cherry on the Beatle cake. "I am known for taking original harmonies and putting my own flavor," Baldwin pointed out. In the past his projects honored Michael Jackson and Stevie Wonder. "I keep the melody intact. It's always a challenge not really changing it...taking it to another point." "Abby Road and The Beatles" is executive produced by Bob Baldwin, celebrating 30 years in the business, and Bob Frank. It also features assistance from Tony Lewis on drums, Dave Anderson on bass and Dennis Johnson and Café' Da Silva on percussions. "The Beatles were embrace in American and around the world," Bob said about why he honored the popular band from London. "I tried to pick like 10 songs that felt good on piano."